Georgia State’s opening game against Samford presented a fresh new opportunity for 1st year coach Trent Miles. Part of the allure of Coach Miles was the turnaround that was made in the program at Indiana State. His résumé includes various responsibilities such as Running Backs Coach at Washington and Wide Receivers Coach at Notre Dame and Stanford. In total, Trent Miles has coached 8 teams, including a stint in the NFL. With a diverse coaching resume’ it looks like Coach Miles will be a good fit for the Panthers as they look to impress this season. Early in the 1st quarter we saw Wide Receiver Kelton Hill catch a touchdown for Georgia State and Running Back Fabian Truss returned a kick off for a touchdown for Samford. Quarterback Andy Summerlin struggled to get his Bulldogs moving as he threw 2 incomplete passes and had a short gain from a shovel pass to Jay West. As the quarter was coming to a close, the Panthers offense was skittish as well after Kelton Hill fumbled a pass out-of-bounds and the Panthers were getting little help from their running game. Once the 2nd Quarter began, Wide Receiver Albert Wilson came up big on 2 completions to keep the drive alive. After Quarterback Ronnie Bell almost threw an interception, he recovered on 3rd & 7 and launched a long ball to the corner to Kelton Hill for a touchdown. The 1st half ended with a partially blocked field goal (by GSU), a blocked punt (by Samford) and a turnover on downs by Samford on the Panthers’ 1-yd line. When the 1st half ended the score was 14-7 Georgia State. Once the 2nd half started, we didn’t see anymore points on the board until there were 4 minutes left in the 3rd quarter. 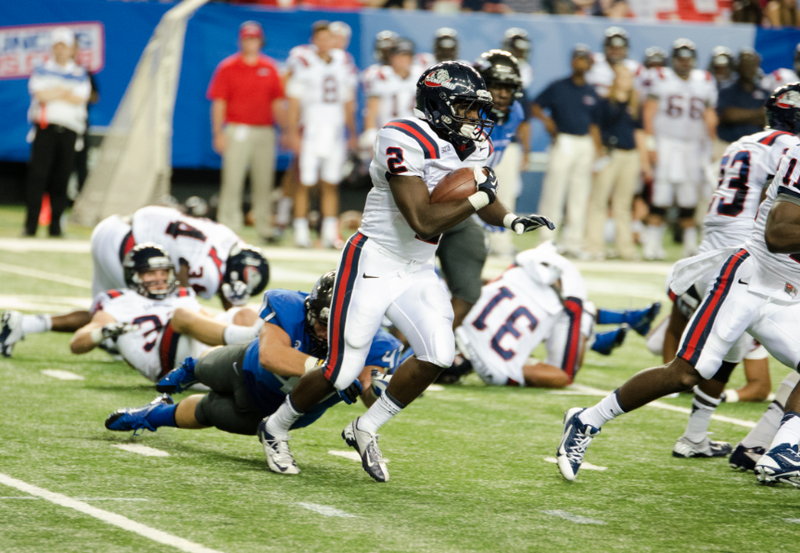 Samford Defensive Back Jaquiski Tartt made an interception and returned it for a touchdown which tied the game at 14. Although the defense played pretty solid ball so far in the game, the Bulldogs completely dominated the 4th quarter. Samford put up 17 straight points without a response coming until 2:45 was left in the game. Albert Wilson, who had a 150-yd+ receiving game, was responsible for the Panthers last touchdown to end the game 31-21 in favor of Samford. The stat of the night came from Fabian Truss of Samford, who played proficiently in all positions assigned. He rushed for 78 yards, had 16 yards receiving, 53 Punt Return yards and managed to rack up 149 Kickoff Return yards including a touchdown. Fans should be pleased by the 1st half of play by the Panthers. Their home-opener showed glimpses of what they could be when everyone’s clicking on all cylinders. GSU’s Ronnie Bell threw for 28 of 51 for 391 yards. 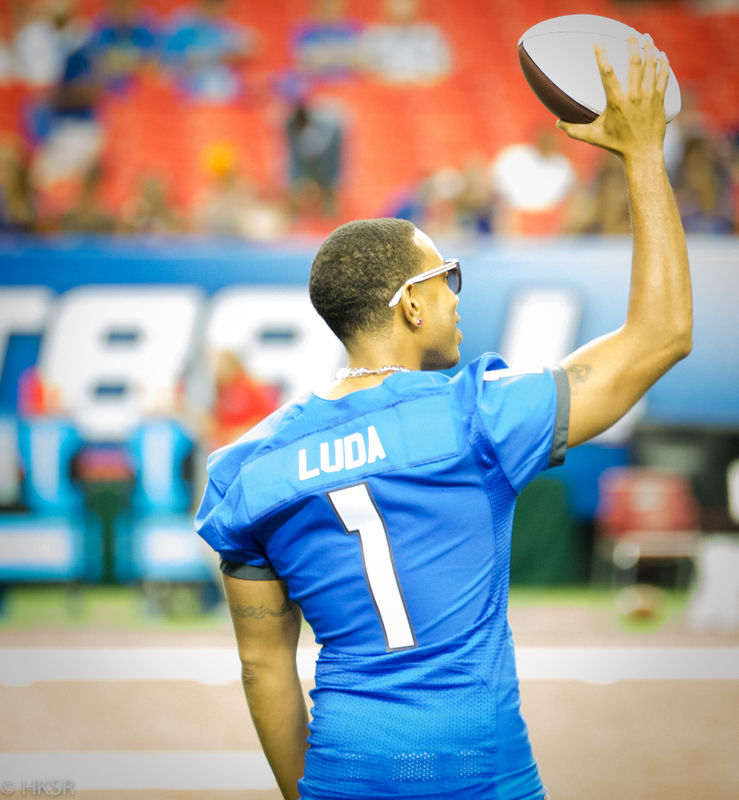 with 3 touchdowns and 2 interceptions and was sacked only once. While throwing for almost 400 yards is great for a quarterback, it needs to be complimented by a good running attack. Gerald Howse was the top rusher with only 29 yards on the ground with Kelton Hill in 2nd with 28 yards. 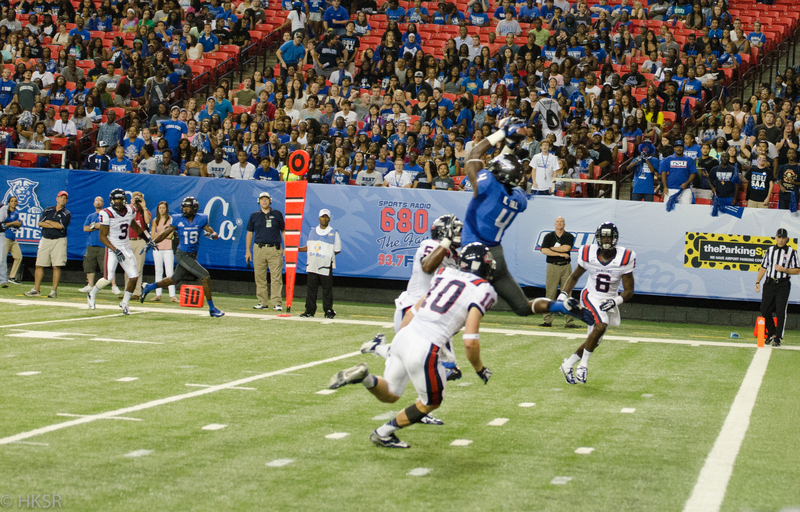 Hill was an important piece of their high flying passing attack with 5 receptions for 54 yards and 2 touchdowns. With almost 500 yards of total offense, Terrance Woodard anchored the defense with 10 tackles (8 unassisted). Theo Agnew and Joseph Peterson were also key players on defense with 6 unassisted tackles to help slow down Samford’s running game. Although the Panthers lost by 10, they can learn from this and apply it next week against Chattanooga. They have a dual threat in Kelton Hill and Albert Wilson and Coach Miles has another opportunity next week to show the home fans that his acquirement was for good reason. With a résumé like his I’d expect great things to come this season!